One of the key principles of Celeste’s theoretical framework includes the incorporation of energy-medicine, specifically, The Reconnection®. Reconnective Healing® and The Reconnection® are energy-medicine modalities that were created by Dr. Eric Pearl. These life-changing experiences, utilize new frequencies to allow for the relative and ultimate healing of the body, mind, and spirit. It is very different from Reiki, Johrei, Vortex or Pranic healing, as it brings in a high-frequency and broad spectrum of light and information that allows healing to take place on multiple levels. Rather than focusing on any one symptom, this type of healing allows for the best possible result to take place. Unlike other modalities, Reconnective healing practitioners do not touch participants and are trained to keep their egos out of the process and let the energy do the healing. Participation in these highly palpable energies produces a permanent change in one’s vibratory frequency, making quantum shifts in consciousness that last forever. Typically, one to three sessions achieve maximum benefit. The Reconnection® is best suited for people who are ready and willing to make a broad quantum shift in their ability to heal themselves, their friends and family, and the planet. The Reconnection accelerates life’s purpose. The theory posits that in the beginning of time, the meridian lines (acupuncture lines) on our bodies were connected to a grid of ley lines that encircle the planet. These grid lines connected us to a vastly larger grid, connecting us with the entire universe, until we were disconnected from these lines. The Reconnection reconnects us to the parallel-dimensional circulatory system which draws the basic energy for the renewal functions of the human body. The process advances evolution for the individual and the species. It also brings in new lines that enable us to standardize unique vibratory levels and frequencies for healing, thus allowing for the exchange of light and information, the reconnection of DNA strands, and the reintegration of ‘strings’ (simultaneously occurring on parallel planes of existence). The process requires two sessions completed on consecutive days with no more than 48 hours in between. Once the process is completed, it never has to be repeated. Celeste combines traditional “talk” therapy with the various therapies discussed on this site and at Psychotherapy Healing Services, LLC page. 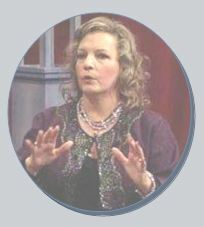 She recommends nutritional changes and supplements, meditation and relaxation techniques, physical exercise, and energy-medicine healings. Celeste Emelia Mattingly, LCSW is committed to offering you the most effective treatment available with integrative techniques to create a program suited to your holistic treatment. Celeste recommends and provides Reconnective® Healing and the Reconnection® to her own friends, family and colleagues, as well as to all her clients. It is not necessary to be in psychotherapy with Celeste to schedule appointments for these life-changing experiences. Call today and schedule your appointments for this ultimate healing modality.